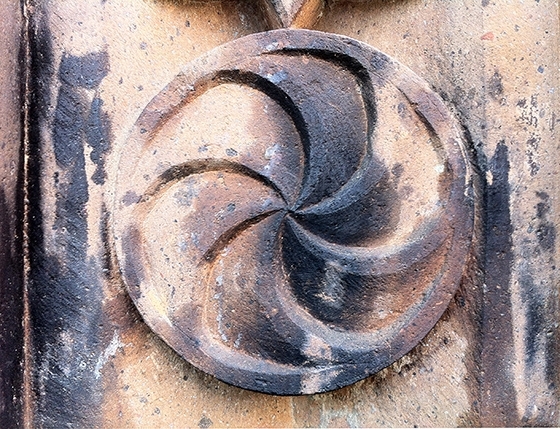 Seen everywhere from ancient church carvings to modern-day emblems and company logos, the Armenian symbol of eternity is among the culture’s most significant signs. It is also thought to double as a sign for the sun. It may be the most distinct of Armenian symbols and one that has had the greatest role in defining the Armenian people’s identity. Mythology has it that its 36 letters were bestowed upon Mesrob Mashtots by God. 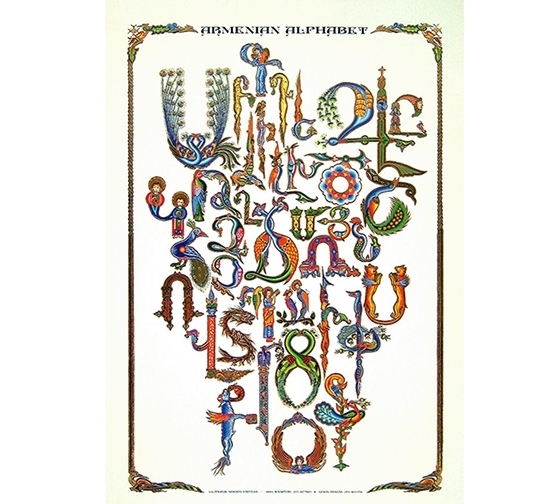 The letters have been used continuously since the 5th century A.D., almost unchanged. When most people think of symbols that represent music, they think of music sheets with lines, clefs and notes. But Armenians had their own musical notation system called “khaz,” which became so complex that people forgot how to read it. 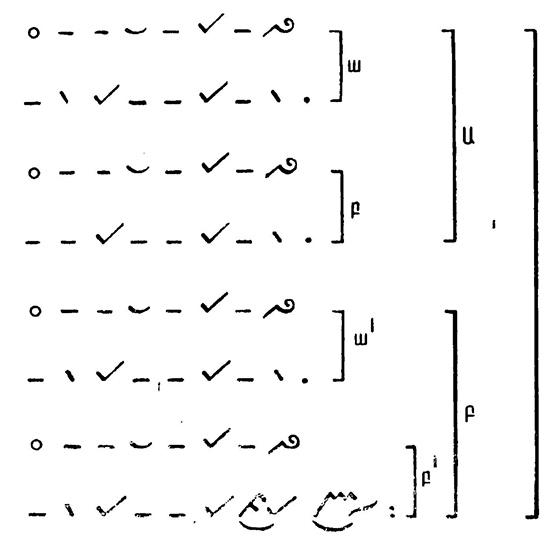 However, it was later simplified and revived, and is still taught in Armenia as a type of musical notation. 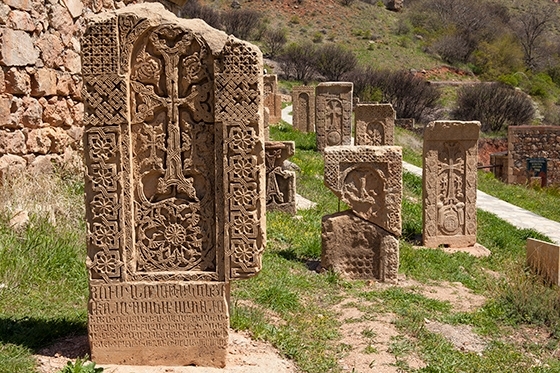 The Armenian cross stones carved out of tufa, a volcanic rock, are exquisite examples of intricate lace design. Historically, these “khachkars,” which is what they’re called in Armenian, adorned gravesites in cemeteries, but they were (and are) also found as decorations at religious and cultural sites. 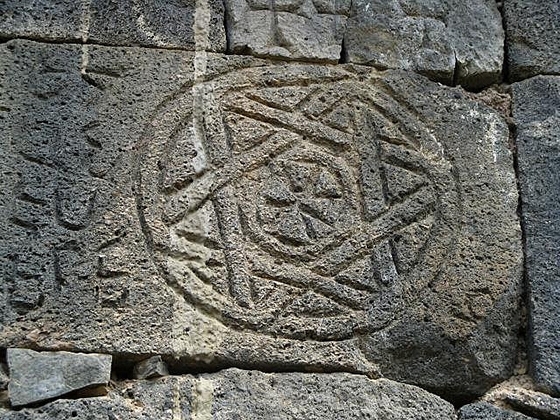 Although commonly associated with Judaism, the six-pointed star frequently appears in ancient Armenian carvings on khachkars and church reliefs. It often appears with the wheel of eternity at the center. 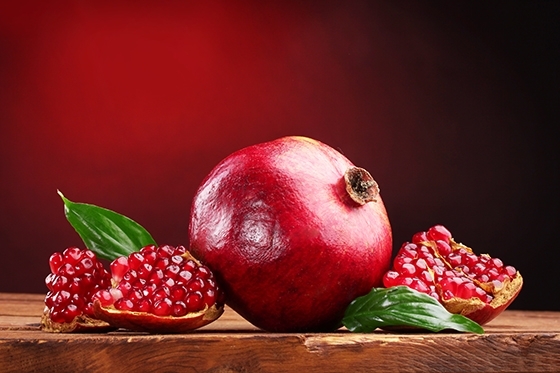 The Red emblematizes the Armenian Highland, the Armenian people’s continued struggle for survival, maintenance of the Christian faith, Armenia’s independence and freedom. The Blue emblematizes the will of the people of Armenia to live beneath peaceful skies. 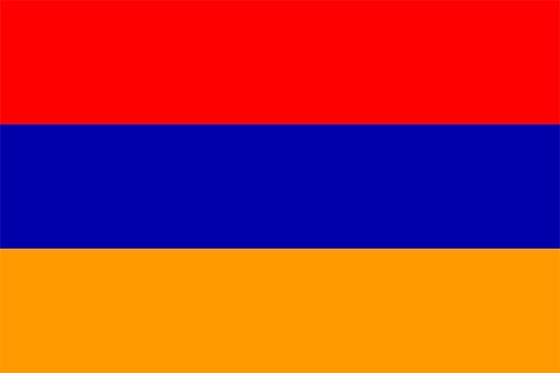 The Orange emblematizes the creative talent and hard-working nature of the people of Armenia. Armenian rugs: they are beautiful to look at with their vibrant colors, geometric patterns and mysterious symbols. This traditional art form could be found throughout the Armenian Highland, and although there are stylistic similarities, villagers in different areas created designs specific to their regions. 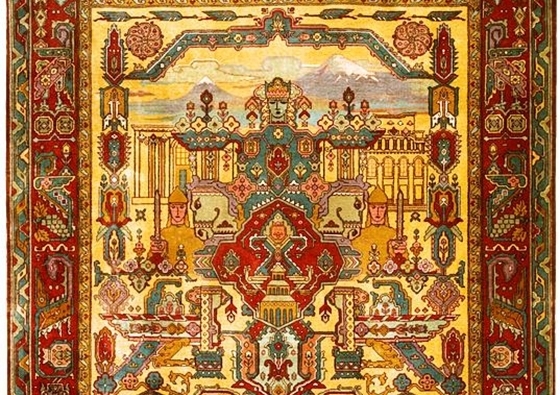 A particularly famous type of Armenian rug hails from Artsakh. Present in national symbols, from the coat of arms to the jerseys of the country’s football team, Mt. 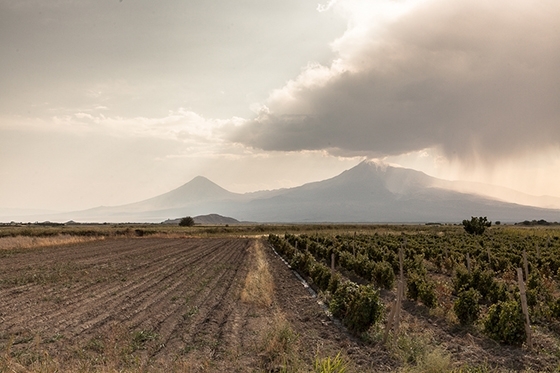 Ararat is among the most recognizable symbols of Armenian culture. The base around which Armenians came to be and the landing place of Noah’s Ark according to the Bible, Ararat’s two peaks are ever-present in all things Armenian. 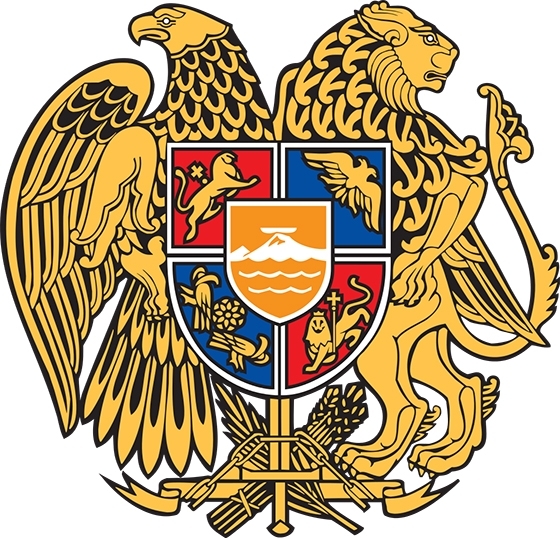 The eagle and the lion of the coat of arms have appeared on the standards of Armenian dynasties and other cultural markers for thousands of years. They are joined by a crest, which depicts the symbols of four of those dynasties, with Ararat at the center. They are supported by five elements: a sword, a broken chain, a bundle of wheat, a ribbon and feathers. They represent strength, independence, industriousness and intellect.